ALL ROADS LEAD TO POSITIVUS! There is nothing easier than getting to Positivus festival, even if you’ve never been to Latvia and have no idea where Salacgrīva is located. The festival organizers have thoroughly planned ways to ease your trip to Positivus, either by using the flight services offered by airBaltic, the BalticTaxi cabs or the Positivus Express. Let’s start with getting to Riga. The easiest way is by flying with airBaltic, an airline that offers flights to and from 53 global destinations. You can find your nearest direct or connecting flight at airbaltic.com. Once in Riga, the next step is to get from Riga to Salacgrīva and Positivus festival is offering two ways to do it – with BalticTaxi and Positivus Express. BalticTaxi offers the festival visitors a comfortable and advantageous taxi service, delivering them from any location in the Latvian capital of Riga, directly to the festival location in Salacgrīva. BalticTaxi cabs are regularly stationed at the “Rīga” airport, so that right after your arrival you can catch a green coloured cab and head straight to the festival. This year’s BalticTaxi travel voucher costs EUR 69 one way. One voucher allows up to four people per cab for the same price. For visitor convenience during the festival, the BalticTaxi cabs will be permanently stationed in an accessible and visible spot at the second festival entrance, sparing worries about calling cabs in advance or waiting for them to arrive. The fast and comfortable Positivus Express, which will depart from the “Olimpia” shopping mall, located at Āzenes str. 5, is a great and affordable way to reach the festival site. The Express will drop the passengers off directly at the festival entrance. The Express fare is currently EUR 6.50 one way. We advise you to get your tickets now, due to the limited number of seats available. You can get more information about the BalticTaxi voucher and the Positivus Express ticket rules, as well as purchase both here. If you’ve chosen to take the car, then don’t forget that you will require a car parking pass, which will be purchasable on the festival site. 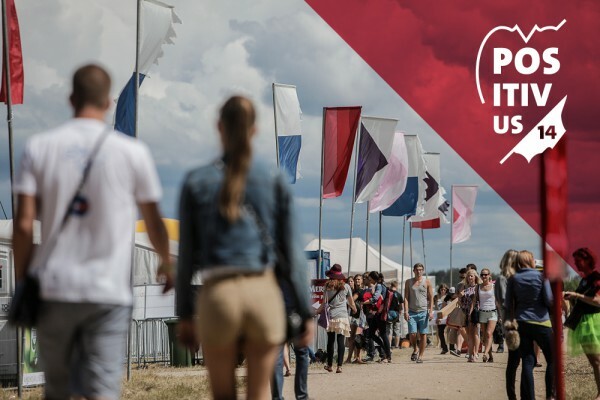 The festival 3 day ticket without camping currently costs EUR 57 and a 3 day ticket with camping costs EUR 63. Tickets are available at www.positivusfestival.com and in all Biļešu Serviss box offices. Ticket prices are set to increase. This year’s Positivus festival will host Kraftwerk, The Kooks, Bastille, Laura Mvula, Daughter, of Montreal, The 1975, Birth Of Joy and Kid Karate and many more.